For further information on these works, download the 2019-2020 Tours in Development pdf. In Sentient Theatres inaugural piece, we celebrate the beautiful literacy and conceptual genius of one of the greatest writers of the 20th Century Virginia Woolf and her classic work, A Room of Ones Own. 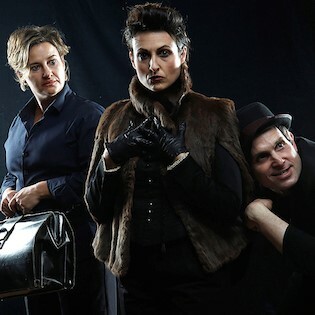 Based on a series of lectures by Woolf in 1928 on the subject of women and fiction, Peta Hanrahans adaptation restructures the narrative to feature four performers who represent various aspects of Woolfs mind in conversation with herself and the audience. Australian Booty is an entertaining mix of comedy, dance, fierce and hilarious hip-hop, critical analysis, soulful singing and of course BOOTY SHAKING! From the sisters behind Hot Brown Honey (2016 Edinburgh Festival/ Total Theatre UK Award) and Sista She, comes another genre-defying feminist power show about self-love. If you love hip hop, but hate misogyny, love powerful women but can’t understand why they doubt themselves (if you are one of those women) or if you just wanna see more women of colour on stage, Australian Booty is for you. WARNING- Side effects may include booty shaking and higher self-esteem. By a Thread is a new ensemble circus creation exploring the relationship between trust and play on an innovative aerial apparatus. Long spools of white rope run through pulley sheaves and wrap around bodies, explicitly connecting the artists’ movements above and off the ground. The actions of one acrobat affect and implicate the movements of others in a precise negotiation of cause and effect. The performers use this metaphor for connectedness to explore the give and take, balance, and dynamics of relating to one another. Children are Stinky is packed with lots of fun, lighting fast Hula Hooping, dare devil balances, astounding strength, incredible acrobatics and loads of comedy. Children are Stinky challenges children to step on stage and prove themselves worthy, smart, co-ordinated and imaginative against ridiculous circus performers resulting in wonderful interaction and an audience of proud kids and parents. Children are Stinky has both adults and kids with their jaws on the floor wanting to see more. Two strange characters appear hunting for whispers of adventure. In a series of vignettes a couch, table, cushions, sheets and broomsticks transform into rockets, trampolines, cliffs and tents places to explore. Images appear and disappear. 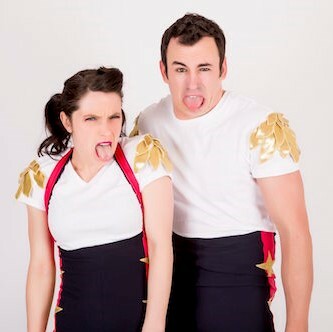 FoRT is full of ridiculous clowning, spectacular acrobatics, and poetic visual imagery and celebrates the kind of creative genius that has been known to turn lounge rooms into volcanoes, trees into castles and cardboard boxes into racing cars. 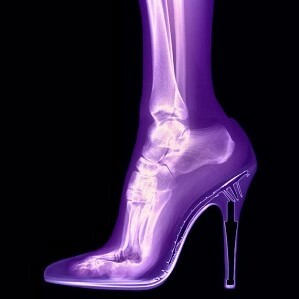 Hear the journey of women’s contribution as military doctors and surgeons throughout the past century. From the civilian trail blazers, first denied military service with Australian forces in World War One, to those currently serving with our armed forces in the Middle East, Hallowed Ground examines the vast experience of service from the personal perspectives of women doctors in war. The story of the Australian women doctors in the military highlights the significant advancement in attitudes and recognition of our women on active service. Hallowed Ground is a composite of first hand experiences spanning a century of women doctors in war. Key Audiences: Local army personnel, R.S.L.s, Lions Clubs , Rotary Clubs, Senior Citizens groups, C.W.A. and other women’s organisations, book clubs, historical societies and secondary schools (History, English and Drama classes). Look this way - look natural – smile. With our ever-growing desire to document each moment of our lives, children often become the (reluctant) subject of their parent’s camera. I See You Like This turns the camera around, allowing your child to view you as the subject through the lens of their own imagination. onto their 'subject's' face. The pair then enter the studio to direct the photoshoot. Mission Songs Project is an initiative to revive contemporary Australian Indigenous songs from 1900 to 1999, focusing on the Christian missions, state run settlements and native camps where Aboriginal and Torres Strait Islander people were relocated. Searching for the secular songs that were sung after church, the project looks to explore the day to day life of the mission days, from cultural identity to love and loss. 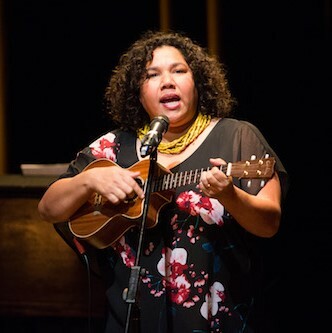 Performed as a vocal quartet, Jessie presents a rare performance style found only in Indigenous communities; such as family gatherings, social events or yarns over a cuppa. Jodee Mundy discovered that all of her family were Deaf when she was five years old in Kmart. As the only hearing person in a Deaf family, this solo performance aims to unpack the concept of disability within our society through the eyes of a child. Auslan is her first language, and English is her second. Through this work the position of the CODA (Child of Deaf adult); as interpreter, authority, and conduit; becomes the central image and the experience of her duality of living in two worlds. Key Audiences: Deaf audiences, hearing impared theatre lovers, theatre lovers, ages over 16. One fine spring morning during 1957, an elongated sausage dog named Lump arrived at the home of Pablo Picasso. He looked into the deep, brown eyes of the artist and decided he was home. 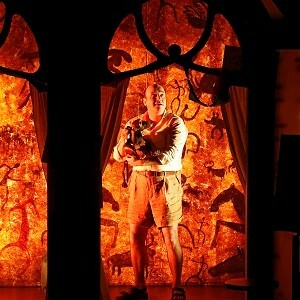 Combining puppetry and live performance, ‘Picasso and His Dog’ tells the story of a man and his dog, their deep connection and the art it inspired. It is a visually stunning and deeply moving celebration of what it is to create, and to be creative. 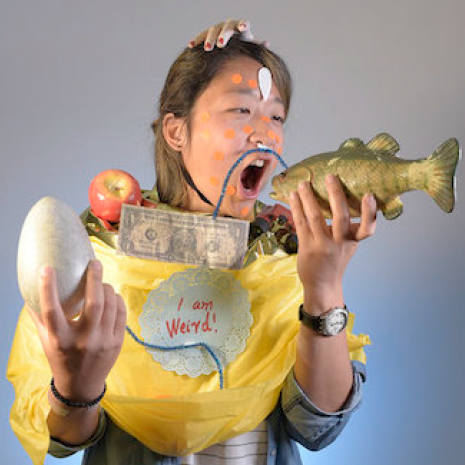 This work is an inventive mix of live art-making, puppetry and magic realism. Key Audiences: It has been made for audiences aged 4+, suitable for both general public, family and schools audiences. When it comes to friends, Juniper has no idea what all the fuss is about in fact when classmates tease her for being like a robot she takes it as a compliment. 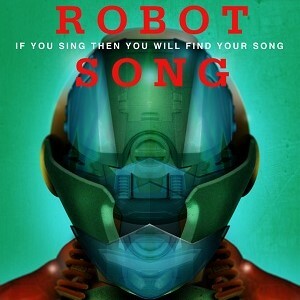 Through the unconventional eyes of a child on the Autism Spectrum, Robot Song takes the audience on an incredible ride of personal discovery. Robot Song introduces us to Juniper, a smart 11-year-old whose world is turned upside down when the arm of a giant robot appears on her doorstep and takes her on an unexpected journey to find the rest of its body. Surprised by the robot’s revelation that it has only ever wanted to sing, Juniper learns flexibility and unexpected outcomes are sometimes exactly what you need. 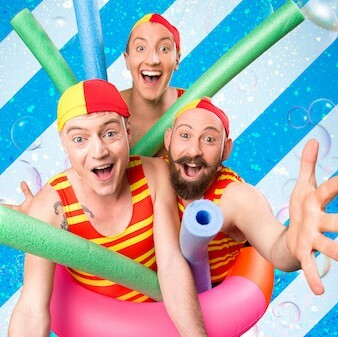 Splash Test Dummies are here, ready to roll out their beach towels and spring into a brand new hour of circus-filled hilarity for the whole family. See a brilliant array of catch-your-breath stunt work, acrobatics, juggling and the sidesplitting, slapstick comedy for which the dummies are famous. Join the Dummies and come diving from bathtubs to beaches in this new aquatic adventure! Trash Test Dummies have been delighting audiences young and old with a nuanced blend of circus, comedy and imaginative play, creating shared and treasured experiences for families across Australia and around the world. Swansong is an award winning Irish monodrama written by acclaimed writer/director Connor McDermottroe. Meet Occi Byrne, the illegitimate child of a single mother in the Catholic west of Ireland. Shunned by church, state and family, Occi must fight his way to adulthood in a dog eat dog world. 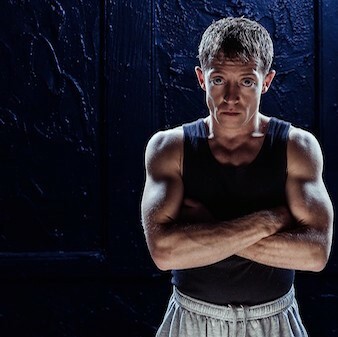 Violent, tragic and hauntingly tender, Swansong is the story of a lost soul from one of the masters of Irish drama. Three theatrical styles are interwoven to produce a work that examines the ways that desire, love and infatuation creates havoc with our rational sense of who we are. The show blends an overblown gothic melodrama full of the passion of the Romantic period, the Dadaist stupidity of a troupe of clowns and the confessional realism of personal stories. The show is accessible, joyful and dramatic. The personal contemporary storytelling and the absurdity of the clowning contrast with the melodramatic style and allow the ensemble to rejoice, celebrate and satirise our the tug of war between passion and pragmatism. 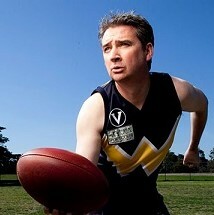 The Barry Award Nominated sequel to his multi-award winning Sportsman's Night, Damian revisits the dysfunctional Bodgy Creek Roosters Football Club. The township has seen better days – the mill's closed; the Tidy Town sign has fallen into the long grass and the weir is as dry as a spinster's gusset. The dying town is about to claim its next victim. Unable to field even one full side, the footy club will either have to fold or merge with their arch rivals - the Hudson's Flat Cougars. But prodigal son coach Troy Carrington has other ideas; to save the club he embarks on a programme to recruit players from the Asylum Seekers Refuge Centre. Will the new players cope with preseason training while fasting for Ramadan? 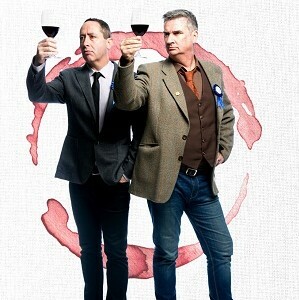 Three time Barry Award nominee, Damian Callinan, and his trusty partner-in-wine, Paul Calleja, join forces as the self-styled sommeliers of comedy: The Wine Bluffs. If judging the Fruit Wine Section at the Rockhampton Show is not testament to their standing in the Australian wine industry then their Famous Australian Wine Series is (even if the Malcolm Turnbull Shiraz didn’t deliver on its potential). The Wine Bluffs take the audience through an interactive master class identifying the biggest Wine Wanker along the way [if you have a Wine state subscription and a Vintec fridge set on two temperatures, it’s probably you]. Callinan’s ability to read wine auras is revolutionising the wine industry as is Callejas creative gift for pairing food to wine. This is Eden is a dark, humorous and provocative ‘anti-bonnet drama’ inspired by the rebellion and resistance of the female convicts of Van Diemen’s Land. Using the French clowning technique of Bouffon, where outcasts ridicule and provoke those in power, Goddard and Dee tread a fine line between the grotesque and charming to bring to life an extraordinary tale of rebellion and survival that has seemingly escaped our nation’s history lesson. 1839. Cascades Female Factory, Hobart Town. In a solitary cell, on the edge of survival, a ‘sleek little savage’ waits alone in the darkness. Left for dead, ten thousand miles from home, she plots escape and reveals, with biting mockery, the untold tales of her captors.